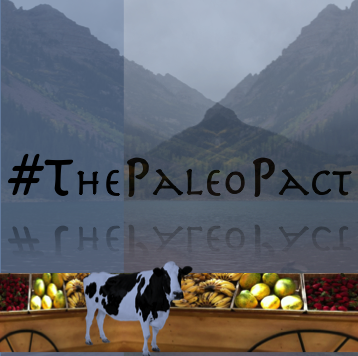 Sometimes it’s nice to indulge in a pasta-like meal, and thanks to Cappello’s, it’s now easy for the Paleo Community to do just that. 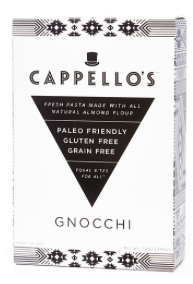 Cappello’s is a Colorado-based company that specializes in grain-free products. They make delicious Paleo pasta, pizza and cookies and their products are now readily available in most health stores (in the freezer section), as well as in bulk online. In a small pot, bring water to the boil. Add 1/2 pack Cappello’s Gnocchi and boil for about 5 minutes (or until the gnocchi floats to the surface), stirring often. Meanwhile, in a small saucepan, melt the coconut oil over medium heat. Add the tomato, onion and garlic to the saucepan and cook over low heat until the gnocchi is ready to serve. Drain and plate the gnocchi, then top with the tomato-onion-garlic mix and finish with a drizzle of olive oil.